Welcome to Olive Chapel Family Dentistry! Thank you for visiting our website! We are the general and family dental practice of Dr. Dustin Prusik located in Apex, NC. We are committed to providing high quality patient care that is both comfortable and affordable. Our expert staff is here to serve YOU! No matter what your dental needs may be, we invite you to become part of our family and see what a difference truly personalized care can make! We make getting the dental care you and your family need to stay healthy easier than ever! We are located directly across from Olive Chapel Elementary School and the new Publix shopping center. At Olive Chapel Family Dentistry, family dental care is the cornerstone of our dental practice. We proudly welcome patients of all ages and levels of health. From your toddler to your grandfather and everyone in between, we provide exceptional dental care at every life stage! Dr. Prusik grew up just a few miles down the road in Cary, NC. He attended Green Hope High School where he met his future wife, Lauren. 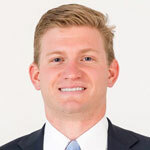 Dr. Prusik earned his bachelor’s degree and dental doctorate from UNC Chapel Hill. After achieving his DDS, he completed a one-year residency program where he received advanced training in all areas of general dentistry including restorative, prosthodontics, endodontics, periodontics, oral surgery, and implant dentistry. He worked in private practice in Durham, NC and Fayetteville, NC prior to opening his Apex location. Dr. Prusik is a member of the American Dental Association, North Carolina Dental Society, and Academy of General Dentistry. He is excited to be a part of this community and looks forward to meeting you and your family! $299 per year Dental Savers Plan which includes 2 cleanings, 2 exams, x-rays, and 15% off treatment! *Some restrictions apply. Call our office for details! Dental Emergency? Same day appointments available! Your Apex, NC Dental Office! Welcome to Olive Chapel Family Dentistry, the general and family dental practice of Dustin Prusik, DDS, and his team. We welcome patients of all ages, from your toddlers to your family’s most senior members and everyone in between! We believe that you can achieve and maintain a healthy and beautiful smile for a lifetime. We look forward to helping you attain the smile you have always wanted! With our gentle approach to dental treatment and compassionate team, even the most fearful patient feels relaxed while they are with us. 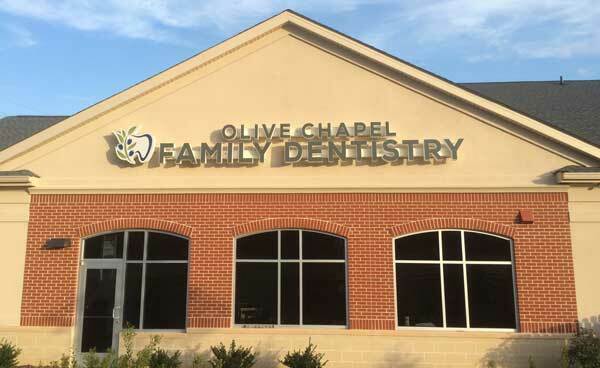 At Olive Chapel Family Dentistry, our passion is providing you with a truly unique and personalized dental experience. 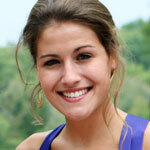 Our highly skilled team is dedicated to giving you a healthy smile in a clean, comfortable, and friendly environment. We believe in treating your dental needs honestly and conservatively through prevention and proper patient education. For those with less-than-stellar dental health, we will work with you to develop a treatment plan tailored to your individual needs and goals. We have extensive training in general, pediatric, and surgical dentistry so no matter what brings you into our office, rest assured you will leave loving your smile and with the self-confidence you deserve. Dr. Prusik insists on providing our patients with the highest level of care no matter what treatment you need. From fillings to full smile makeovers, you can count on the best restorative materials, latest techniques and treatments, skilled dental labs, and up-to-date technology to give you great results every time. We love seeing patients’ smiles transform! Even if it has been awhile since you last had a dental exam or cleaning, we will make sure you have the knowledge and information to make the best decisions for your health. We will never make you feel ashamed about your conditions but instead, focus on how to help you enjoy the comfort and beauty that a healthy smile offers. Convenience and Affordability Are Important! At Olive Chapel Family Dentistry, we understand that life can often get in the way of receiving proper dental care. For this reason, we offer convenient early morning and evening appointments that fit your busy schedule. For families, we offer block appointments where patients are seen back-to-back or even at the same time to save you time and avoid having to make multiple trips! Dr. Prusik and his team strongly believe that high-quality dental work can be affordable! We work with most dental insurance plans and file claims on your behalf so you can get the most out of your benefits and avoid all the red tape! We will always be upfront about costs and estimate your out-of-pocket expenses so you can avoid financial surprises. We also offer our dental savers plan, split payments across multi appointment procedures (crowns, bridges, dentures), and special financing plans, such as Care Credit, so you can have the dentistry you need to protect your smile while still working within your budget. Removing barriers between you and the smile you deserve is another way we at Olive Chapel Family Dentistry put the health and well-being of your family first. Our dental practice is conveniently located along major commuting routes to Hwy 64, I-540, US1, and NC55. We welcome patients from Apex, Cary, Holly Springs, Fuquay-Varina, and the surrounding communities to join our dental family. We look forward to exceeding your expectations in every way! We would be honored to welcome you and look forward to meeting you soon!